betmatrho@gmail.com and put 'Dumars' in the subject line please. 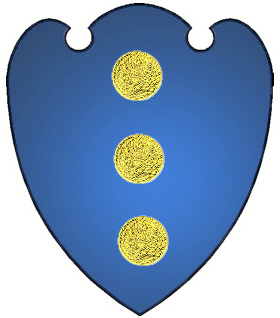 A blue shield with three bezants. Spelling variations include: Dumas, Dumais, Dumay, Dumat, Le Dumas, Dumets and others. First found in Languedoc where this distinguished family were anciently seated in the seigneurie of Le Mas in the arrondissement of d'Auriol where they were located several centuries before their official registry in 1487. Some of the first settlers of this name or some of its variants were: Pierre Dumas arrived in Quebec in 1699 from Angoumois on the west coast of France, near Bordeaux; Pierre Dumais arrived in Quebec from Auvergne in 1745. 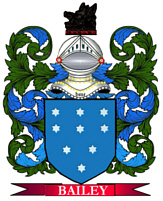 The DuMars family are first documented in Hargnies, Ardennes, France, before going to Tyrone County in Ireland. In the 1800's many DuMars came to America and lived in Western Pennsylvania. there till the next spring. time and lived in Pittsburgh, PA. She had two sons, John, a blacksmith by trade, and Claudius an undertaker, one daughter who married a man by the name of Magill and lived in Allegheny. Our grandfather James DuMars was a weaver by trade and also a farmer, he was hurt in a logging accident and died at the age of 67."